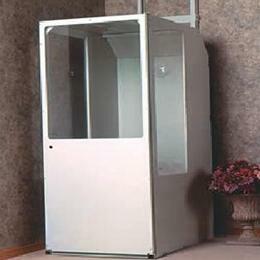 The Minivator elevator is a unique elevator not requiring huge installation costs or structural modifications to your home or building. ThyssenKrupp Access Minivator is the most easily installed residential elevator. Through-the-floor lift, the Minivator elevator serves the need of those with limited space in their building for a home elevator. The Minivator elevator can also be installed in no time, it does not cause much impact on the structure of the building. If youâ€™re not after a high-end home elevator unit with all the frills, the Minivator from ThyssenKrupp Access is just the one for you. The Minivator is wheelchair accessible.